with support by Jumblies Theatre. 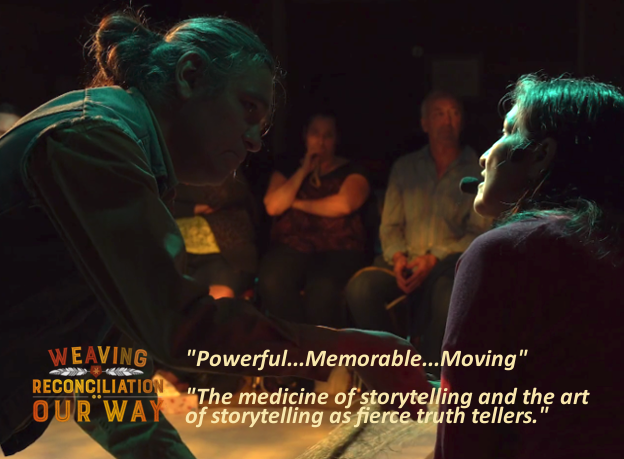 Weaving Reconciliation: Our Way is a unique theatrical and cultural event. Following Old One’s journey of reconciling with himself, his family and his community, we are welcomed into his memories, including the impact of residential school on his family, the effect of intergenerational trauma, and the loss of a working life due to the decline of the fishing industry. Weaving together humour, games, songs, and gifts of hope from Trickster, Old One’s journey is further enriched by unscripted cultural sharing by youth and knowledge-keepers of Treaty 13/Toronto. 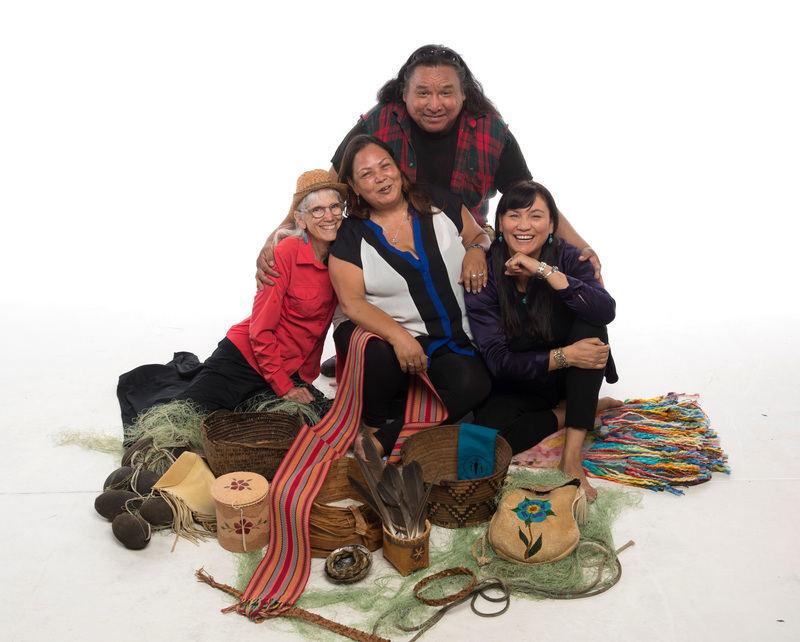 Created by an award-winning team of director Renae Morriseau (Cree Saulteaux), Rosemary Georgeson (Coast Salish/Dene Sahtu) and Savannah Walling, Weaving Reconciliation features an ensemble of urban Indigenous actors, elders, and poets of Coast Salish Territories (Vancouver/Downtown Eastside). Weaving Reconciliation: Our Way is more than a story. 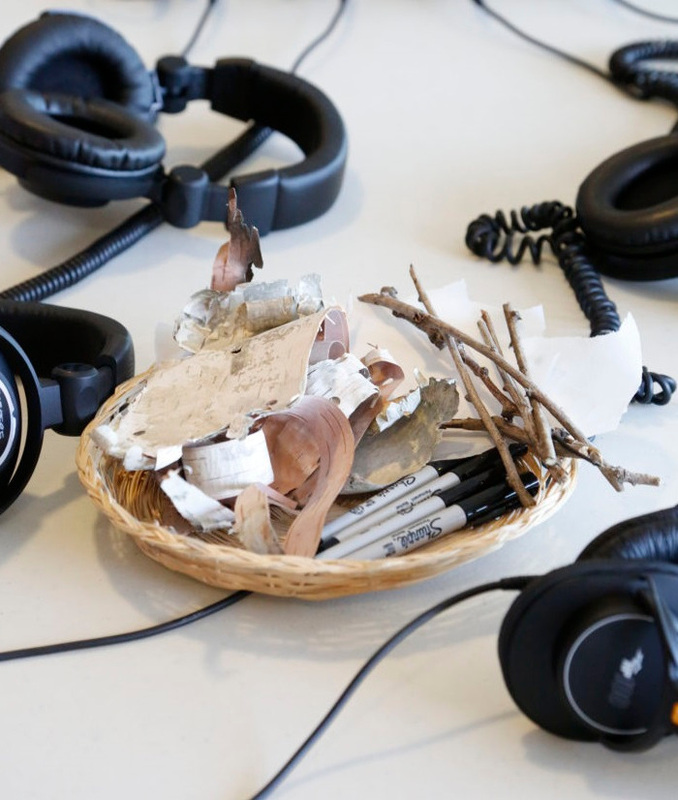 It is also a passing on of lived experiences, oral history, and resurgent cultural practices. It gives voice to those who have lived within the legislation of the Indian Act and Canada’s long shadow of colonialism. For more information visit weaving-reconciliation-our-way.ca. Learn more about the Artistic & Leadership Team and the Cast. All taxes & ticket fees are included. An Honouring of the Land pre-show slideshow co-curated by Chandra Melting Tallow and Renae Morriseau, with images by Michelle Sylliboy and historical and current images from across the land. These are accompanied with an installation of a Treaty 13 Map, a Turtle Island Quilt, and Audio excerpts from Jumblies’ Talking Treaties Project led by Ange Loft. Special Thanks to Cahoots Theatre for their Deaf Inclusion resources and advisement. For ASL Introduction Video. Weaving Reconciliation is being developed with the assistance of PTC (Playwrights Theatre Centre) and EartHand Gleaners, and workshop development at Weesageechak Begins to Dance 30. 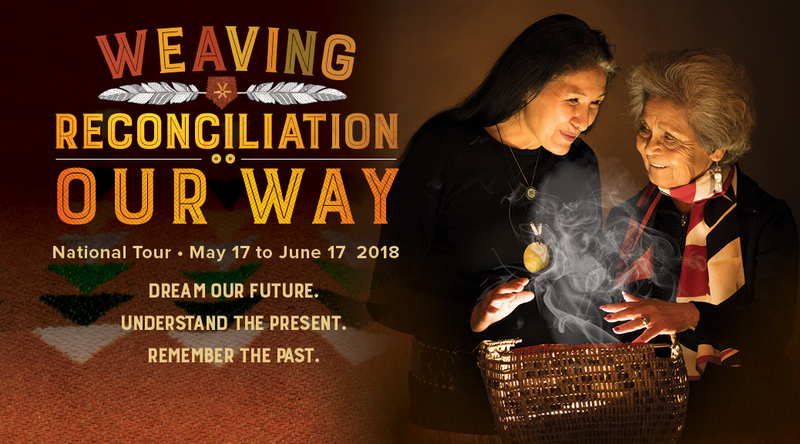 Weaving Reconciliation: Our Way is one of 200 exceptional projects funded by the Canada Council for the Arts’ New Chapter Initiative. With this 35 M$ initiative, the Council supports the creation and sharing of the arts in communities across Canada.